Eterna's rich history is at the heart of the Heritage collection - inspired by the past but designed for the future. Staying true to the marquee design of 1948, this Heritage Gents model enjoys an enviable spec - COSC certified, automatic chrono, full lunar moonphase with day, date and month features. 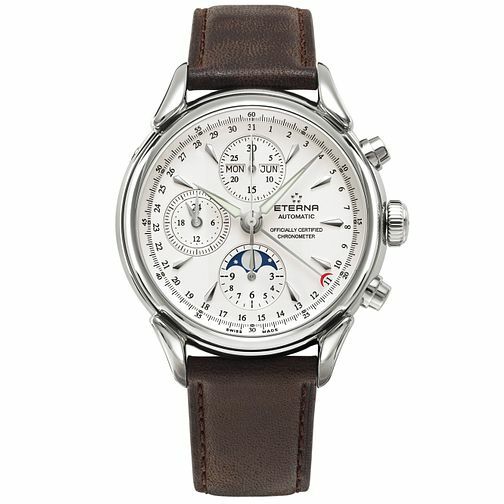 A true Eterna classic. The name Eterna is synonymous with timepieces of the highest quality, with Swiss watchmaking tradition and with an outstanding spirit of innovation.